While training the other day I was distracted by a guy attempting to give birth…or so it appeared from the sounds he was making. I paused to check out how much weight he was squatting, it surely must have been impressive, right? Alas, the squat rack was empty! On further investigation I found that instead of Lamaze, he was bicep curling mighty 25lb dumbbells. A week later I encountered him again, and he commented that you can’t get strong if you’re not making a lot of noise. I really didn’t have the energy to correct him – that it’s the faces you make that are important, but it does bring me to my subject. Beyond annoying the lifter’s in the gym, and drawing attention to lifts that should remain hidden in obscurity, the only thing all that noise is doing for you is reducing the amount of weight you can lift. Breathing correctly during your sets will make a significant difference in the weight you lift, and quite frankly a loaded down bar speaks for itself. The bar rests on the supporting structure of your shoulder girdle, rib cage and back musculature. Your power is driven up from the floor through your legs, which consist of over 50% of the muscle mass in your body. The transition point between these stable structures is your core (abdominals, obliques, and erector spinae). The most well defined six-pack will likely not be as stable as these two opposing forces. 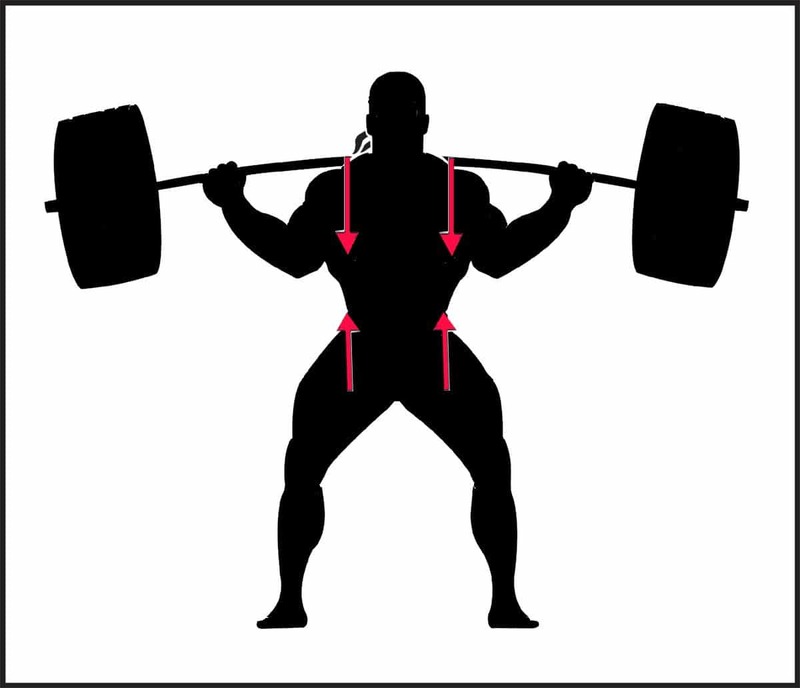 There are safety considerations you need to take into account when squatting heavy. Squatting effectively is much more than stepping under the bar, bending your knees and straightening them again. Proper breathing, for example, stabilizes your core, reducing your tendency to lean or crumple at the bottom of the lift. Screaming loudly during the lift reduces your core stability. Try lifting with good breathing technique. The plates will stack on more quickly and you will find your lifts much more stable.